Las Vegas low priced sign printing can get your signs and banners printed cheap. Why pay premium pricing when you can go to the wholesale sign printers in Las Vegas and get it done cheaper ? Las Vegas low priced sign printing is available in town because many sign shops that print for the conventions and shows have down times ( or slow times) and have all the necessary modern sign making equipment to make your signs and banners at very low prices. The sign companies in Las Vegas that have invested thousands of dollars in large forma printers use these printers to mass produce. When the convention industry slows down during the off peak season, sign companies still want to be using these machines to make money and making a few dollars is better than making no money. Several of the sign companies will lower there cost per square foot full color printing as a result. 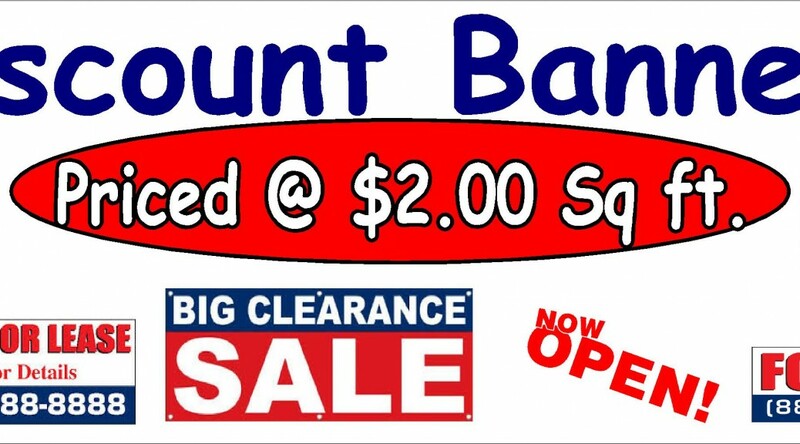 Low priced sign printing not only includes signs, but also includes such signage as vinyl banners, foam core board signs, banner stands, coroplast signs and many other types of signage. All these types of signage are printed with the large format printers. Large banners that are costly during the trade show and event season get drastically cut in price because they are not in demand as they once were. These large banners can be printed at around $2.00 a square foot or less at these off season times using the same materials and inks as when they cost upwards to $4.00 or more a square foot. Thee whole ideal is to get the workers paid and the machines earning some profit. Las Vegas low priced sign printing can be found be Googling ” Low priced or cheap printing in Las Vegas”. The search results will lead you to the right sign shops that can print your signage cheaply.